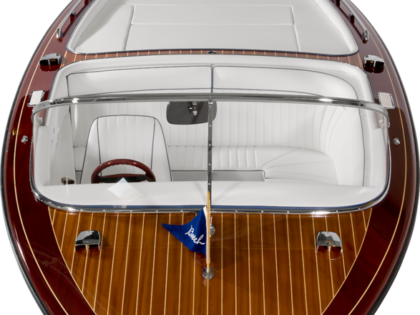 The Boesch 620 Bimini De Luxe defines an extremely successful type of boat. Due to the Boesch Laminate Technology, it has a low weight. 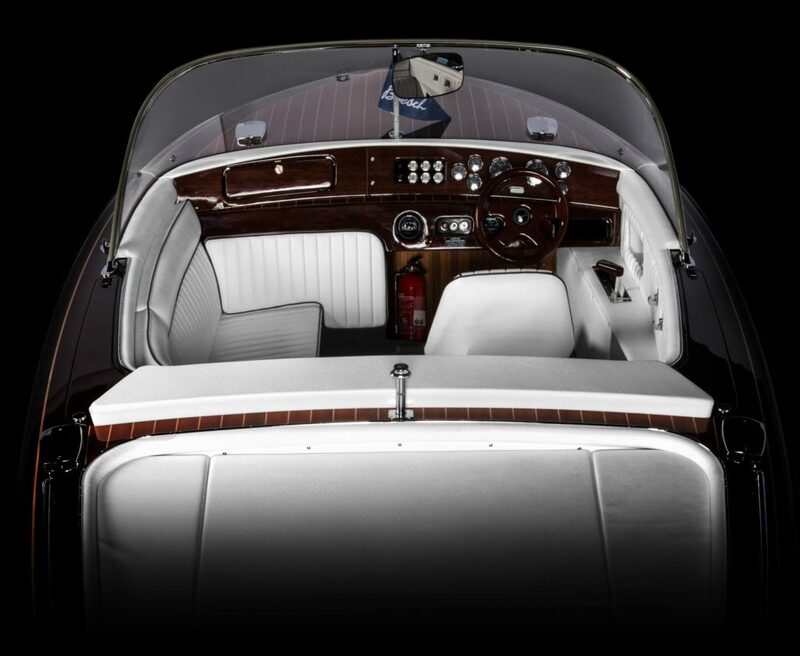 However, the standard version features a powerful V-8 gasoline engine of 320 HP. 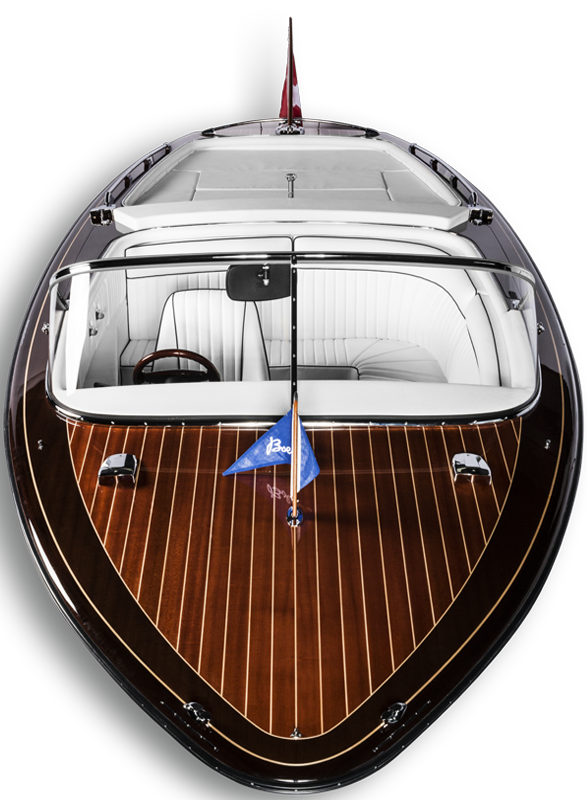 Therefore, the Boesch 620 Bimini De Luxe is extremely agile and fast. This is the reason why it is very popular among the water skiers all over the world. Thanks to the Boesch Horizon Gliding principle, the boat already starts to plane at low velocities and has then an almost perfect stern wave. 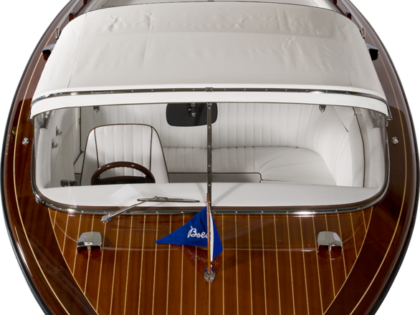 Instead of the rain protecting Cabrio, as installed on the Boesch 620 Cabrio De Luxe, the Boesch Bimini sun protection, mostly stowed on deck on other boats, is following the well-tried Boesch Cabrio principle, stowed under the bridge-deck of the Boesch 620 Bimini De Luxe in a very effective, elegant and simple way. 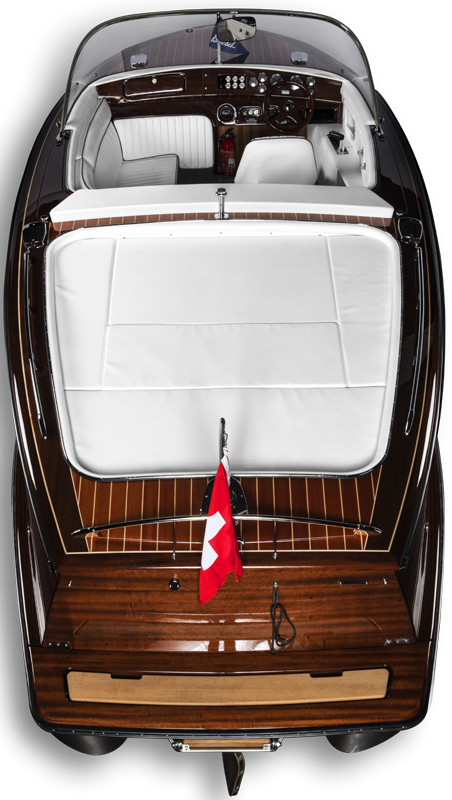 Thanks to the sturdy construction, the Boesch Bimini protects you and all passengers even on top speed. 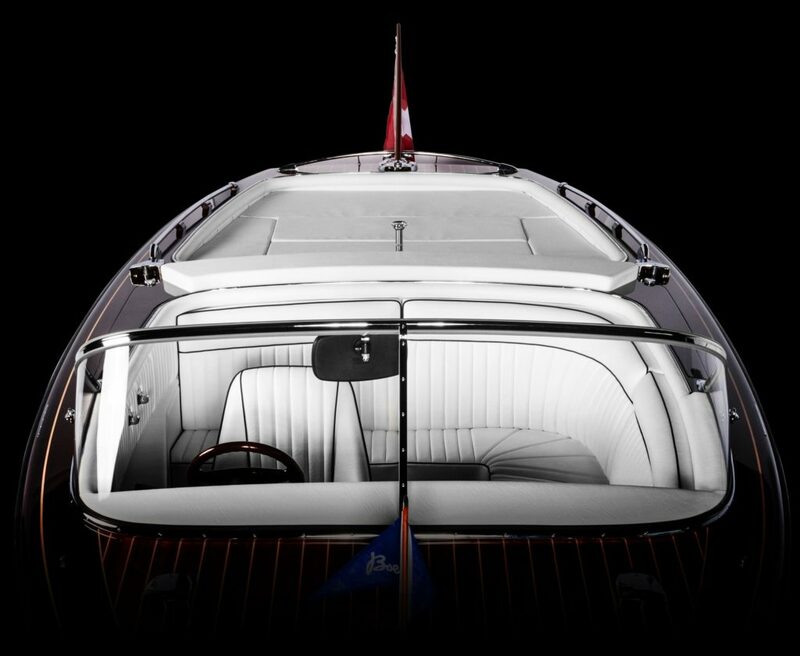 Even with the electric-power engines, the Boesch 620 Bimini De Luxe has enough power to tow a water skier. The Boesch Electric Power fleet is equipped with a propulsion of 50 kW. However it is possible to install electric motors with 80 kW or 100 kW propulsion power. The energy content of the batteries is either 62.6 kWh or 75.2 kWh.